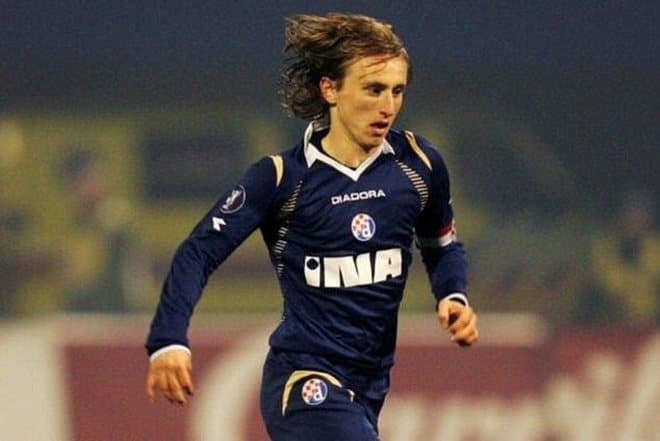 Before Luka Modrić became soccer fans’ favorite, he changed several clubs. The sportsman’s talent flourished when he came to Real Madrid; here, the young man gained popularity. The Croatian player who gave fans much joy is going to finish his field career. Luka was born in the Croatian city Zadar whose history was truly wonderful. In the early 1990s, his family had to leave; they settled in the tourist town Zaton while the father was in the army and the Yugoslav Wars escalated. The family lived in an old hotel. The parents did not tell their son that the homeland was war-torn. The future soccer star’s grandfather became the war victim: just like other senior villagers, he was executed. When the father came back, the boy’s soccer talents could finally be developed. The parents did not hesitate to spend money on it: despite the financial ordeals and the modest salary, the father paid for the son’s training at a sporting academy. The player remembered in one of his interviews that the coach Tomislav Bašić personally made him his first shin guards; he recognized the boys’ fascinating abilities at once. 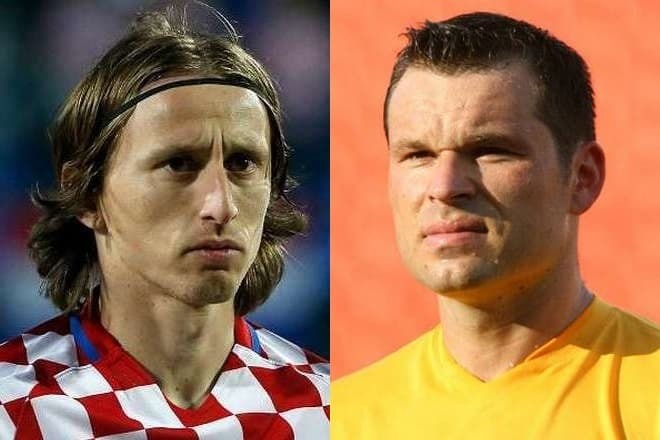 Luka is not the only soccer player in the family: the Croatian player Mark Viduka playing for Australia is Modrić’s cousin. The beginning soccer player signed his first contract in 2002: the 16-year-old man started his career in Dinamo Zagreb. He played one season in the youth team and then was loaned by Zrinjski, the Premier League of Bosnia member. In this team, the young man showed his universal style of playing and became one of the most talented Bosnian sportsmen. The sportsman signed the 10-year contract with Dinamo. He entered the first eleven immediately and became a playmaker who sometimes performed the functions of the left offensive midfielder. The sportsman spent six years in this team; Dinamo won several trophies including the victory in the national championship and went to the UEFA Europa League. Modrić became the champion of Croatia and the player of the year. The sportsman began the 2008-2009 season as a triumphant. The world’s clubs wanted to see him among their members: Manchester United, Manchester City, Barcelona. Modrić chose Tottenham (London); the transfer cost was £16.5 million. Luka was given the position of a central midfielder which was unusual for him. It was difficult for the young player, and some fans thought the purchase was useless. Once, they even called Modrić a lightweight and accused him of unwillingness to play – in fact, the sportsman could not do that because of a knee injury. The situation changed dramatically when the new coach Harry Redknapp came in. He placed Modrić to the suitable position, and the Croatian’s play evolved: numerous goals followed. First of all, Modrić scored against Spartak Moscow. Modrićs’s talents manifested themselves at their best in Real Madrid where Luka transferred in the late summer 2012. He wore the T-shirt with number 10. In the next year, fans were infatuated with Modrić’s play, and the player became one of the most famous team members. Although he could not surpass Cristiano Ronaldo, he managed attacks splendidly, worked on defense with dedication, and pleased his fans with remarkably beautiful goals. People often applauded his spectacular feints. Each season, Modrić’s statistics improved: the sportsman’s pass accuracy and tackling were of high quality. He also scored and took the ball well. The soccer player has had many nicknames. The Spanish called him “lucky Luka” and even “Pony” for his light weight and shortness: the sportsman’s height is 172 cm., and his weight is 66 kg. Newspapers were full of praising articles: the Croatian sportsman added the Balkan freshness to Real Madrid. 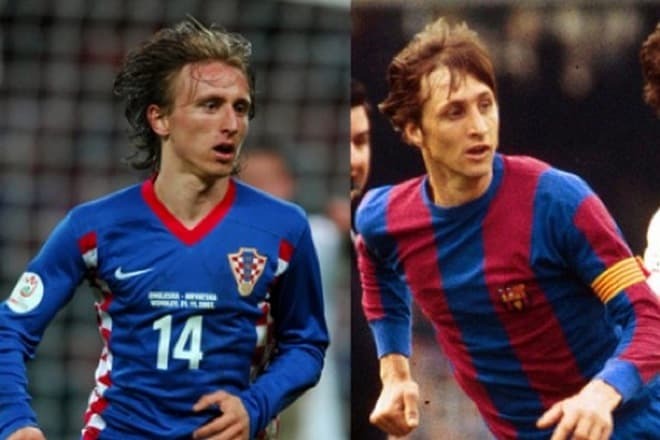 Another nickname appeared thanks to the Dutch forward Johan Cruyff who finished his career: he was said to be Modrić’s fan. 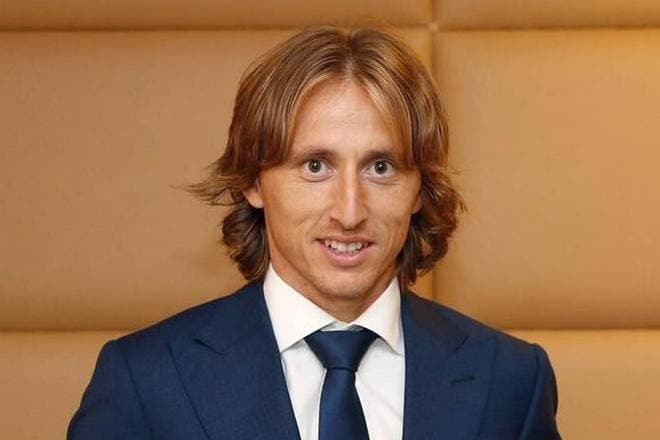 Luka’s manner of playing was often compared to that of the legendary Dutch player, so Modrić got the nickname “Croatian Cruyff.” Besides, there are some funny pictures on the Internet where both sportsmen are compared: indeed, their haircut and facial features are somehow similar. In 2017, the European media learned that Modrić’s transfer cost changed from €45 to €40 million. In 2018, his annual earnings in Real Madrid were €10,5 million. Luka was the primary candidate for the title of the best soccer player 2017 according to France Football. Harry Kane, N'Golo Kanté, Kylian Mbappé, Sergio Ramos, and Gianluigi Buffon were also included in the list of candidates. Eventually, it was Cristiano Ronaldo who received the Ballon d'Or. In the same year, Modrić got to the FIFA top 20 players. In 2006, Modrić was invited to the Croatian national team. For the first time, the sportsman played with Argentina; he scored his first goal in the match with Italy which made him a constant member of the national team. In Euro-2008, Modrić did his best and broke the record: his goal to the Austrian gate was the fastest goal in the history of the European competition. The Croatian team won against Austria and Germany. Two people stood out: Luka Modrić was called the brain of the team, and Ivan Rakitić was its heart and soul. Luka married his agent Vanja Bosnic at 25. The young people had business relations for four years, but everything changed later. Modrić has three children. In a month after the wedding, the boy Ivano was born. Three years later, Vanja gave birth to the daughter Ema; in 2017, the daughter Sofia was born. 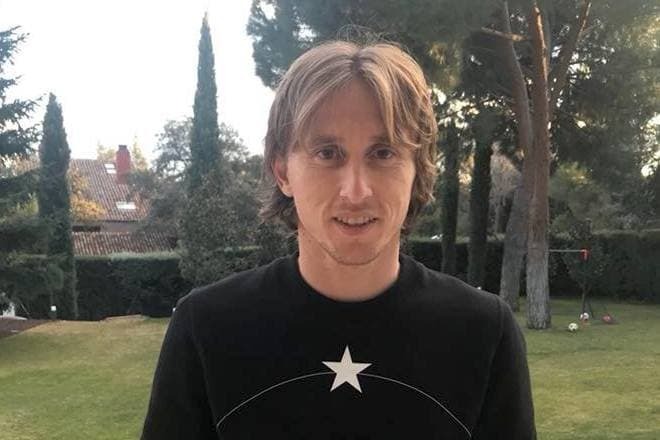 Luka Modrić is a home-loving man; unlike his colleagues, he does not like parties and social events. The player has never been seen at nightclubs – on the weekend, one might find him together with his family in a zoo or a similar place. The sportsman has his own Instagram page where he posts photos from the field and family pictures. In the 2017-2018 season, Modrić was called the best Croatian soccer player. In winter and spring, Real Madrid won several victories. In spring 2018, Luka was involved in the scandal related to the anti-corruption investigation in Croatian soccer. The case against Zdravko Mamić, the former Dinamo Zagreb head, was under consideration: the man was accused of the embezzlement of funds raised from Luka’s transfer to Tottenham. The soccer star also got under investigation: the prosecutors believed that Modrić gave a false statement when describing the transfer details. If the player’s guilt is proved, he will have to go to prison for five years. By the summer, fans have had another gloomy news: the best Croatian midfielder who is going to celebrate his 33rd birthday may be replaced by a younger player. Christian Eriksen, Piotr Zieliński, Marco Verratti, and Paul Pogba are named among the candidates for the position in Real Madrid. The player from Juventus Miralem Pjanić is called the favorite among others. 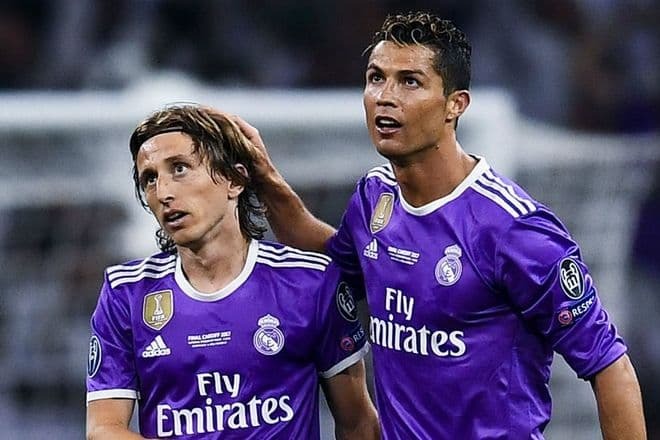 Still, Modrić’s contract expires only in 2020 when Luka planned to finish his career. His dream is to hang up his boots in the club that brought him the global fame.